OS X Mavericks Calendar and Facebook Contact Needs a Bit Tuning to Show up your Facebook Friend’s Birthday on Calendar App. This is what guided in this article. We have this written text plus a video guide for better understanding. You can try logging out, delete and add the Facebook Account and lastly re-installing the OS. There is some known issue blocks the import of friend list, essentially this error happens for Facebook’s problem, not OS X’s. Facebook uses only username-password combination and possibly the API fails to detect the First Party API call. In case of Twitter, it almost never happens. Practically you need to have active Internet Connection, Wifi-on (to show location properly) and allow from System Preferences (Apple Logo > System Preferences > Internet Accounts; Security & Privacy > Privacy > Location Service and the Apps separately). These are what we have shown on the screencast. OS X Mavericks Calendar and Facebook Contact works properly for us (except the importing all friends parts, there will be some failures for all), it should work for you too. This Article Has Been Shared 5537 Times! 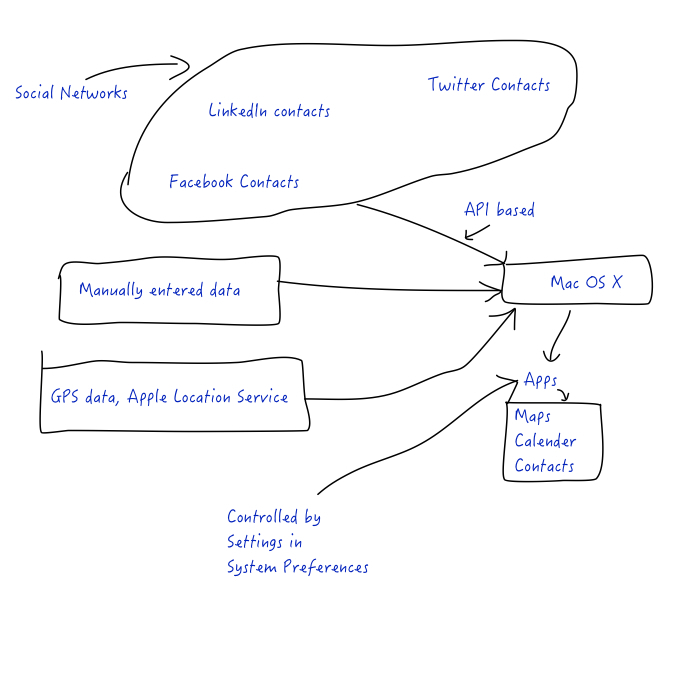 Cite this article as: Abhishek Ghosh, "OS X Mavericks Calendar and Facebook Contact Settings," in The Customize Windows, November 27, 2013, April 23, 2019, https://thecustomizewindows.com/2013/11/os-x-mavericks-calendar-and-facebook-contact-settings/.